John Robert Isner (born April 26, 1985) is an American professional tennis player who is currently ranked world No. 10 in men's singles by the Association of Tennis Professionals (ATP). Considered one of the best servers of the ATP World Tour, Isner achieved his career-high singles ranking of world No. 9 in April 2012. 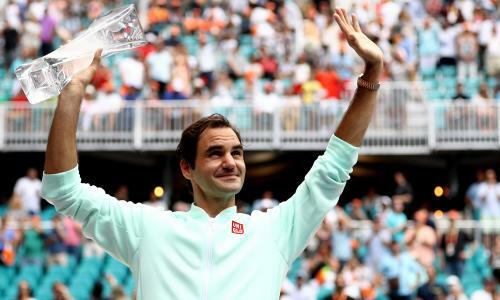 By virtue of his maiden Masters 1000 crown at the 2018 Miami Open, he matched his aforementioned career high ranking of No. 9. In 2013, he became the 18th player to serve more than 5,000 aces on the ATP World Tour. 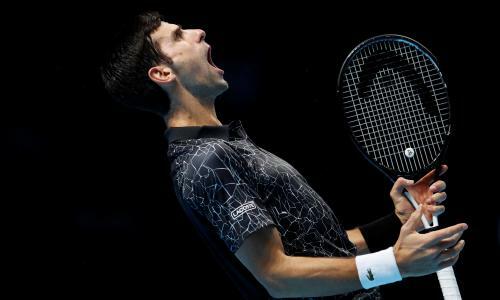 He currently has 3rd-most aces in the history of ATP, having served more than 10,000 aces. At the 2010 Wimbledon Championships, he played the longest professional tennis match in history, defeating Nicolas Mahut in a total of 11 hours and 5 minutes of play over the course of three days. He also played the then 10th-longest singles match, a 5-hour 41-minute encounter in the second round of the 2012 French Open. Can @lavercup be every week? We fought our asses off in Chicago but came up a little short. Time for me to get some R&R with my wife and baby girl. Life changed forever when this little one entered the world on 9/15/2018. Everyone say hello to the 8lb 1oz Hunter Grace Isner. Didn’t think it was possible to love something this much. My wife @madkool13 is doing amazing and will be the best mother ever. We are so blessed! Hey John where do you guys play? New York or San Diego?? waiting to see you back on court! Tennis is not the same without you! Hi John, Chris Mamman here. Good connecting with you. Happy with your progress thus far. I am truly proud of you. Keep up the good work. Regards to Jordan and parents. So proud of you John, Our American Tennis Champ. You are loved for being a wonderful ambassador of the game, great personality on and off the court. Congrats on your awesome new family. Speedy recovery. You are my American Tennis Hero. You play a huge part of tennis. You're a sweetie, too. My mom watches you religiously and won a tee shirt autographed by you. I have your signed photo on my wall. Love you kiddo. Btw your wife and daughter are beautiful. Great article! Great cover picture! Can’t wait to see you back on the court. You are sooo cute and such a great person! Grande Isner! Il Bombardiere Americano! Looking so handsome- great to see you without the hat. John, great article...I’m a dog lover, too. (I loved the picture of you and Sacha with the puppies.) You and Fed are my favorites for sure. You remind me of my son, so I’m always pulling for you! Hoping your foot heals quickly! Love watching you play. Wishing you a speedy recovery! Thanks for helping the animals John! Hope your foot is healing and you’ll be back in no time good as new!! Thanks, John, for being such a great player and good sport!! Thanks for helping these animals! You are amazing! Hope your foot is better. I hope your foot is healing. You made America proud on the court !!! Keep up the aces to take care of the animals. Thank you. Proud of you John! Keep slamming!! Good job John!! I'll be watching you reach that goal! From a Greensboro transplant to Dallas too!! John Isner with Citibank US. John. Consider using the Aircast A60 ankle braces that Andy Murray wears, over the ones you wore in Miami. After trying many ankle braces for years, the Aircast A60 proved to be the only one that gave me good lateral support when playing tennis. WHY DO YOU ALWAYS HIT THE BALL BACK AT YOUR OPPONENT? WHY DON'T YOU EVER ANGLE IT AWAY? TOO OFTEN, YOU ADVANCE TO THE NET ONLY TO HAVE THE BALL WHIZ BY YOU. Congratulations John and good luck in the finals. Well done.will b watching and rooting for you. Hello John! Congratulations for reaching the Miami finals! Any news on the injury of your foot? Hoping it was not to serious and heals quickly. FELICIDADES ENHORABUENA ISNER, que sigan los triunfos, muy merecido. OJALA QUEDES CAMPEÓN DE MIAMI. C'est honteux de voler les pauvre. T'as vendu combien ton match sale fils de pute ? Vu ton match contre khachanov j'espère que tu vas crever . Que quelqu'un va te briser tes jambes de fils de pute sale pourriture d'ordure.